Your ticket cost helps provide education, housing, food and medical needs for 2000 Tibetan monks at Drepung Gomang Monastery in India. This cultural experience begins with a delicious Tibetan meal. Enjoy beef or veggie momos, hearty ping soup (vegetable with rice noodle soup) with traditional tingmo (steamed rolls), salad, ending with dessert – all created by our visiting tour monks. 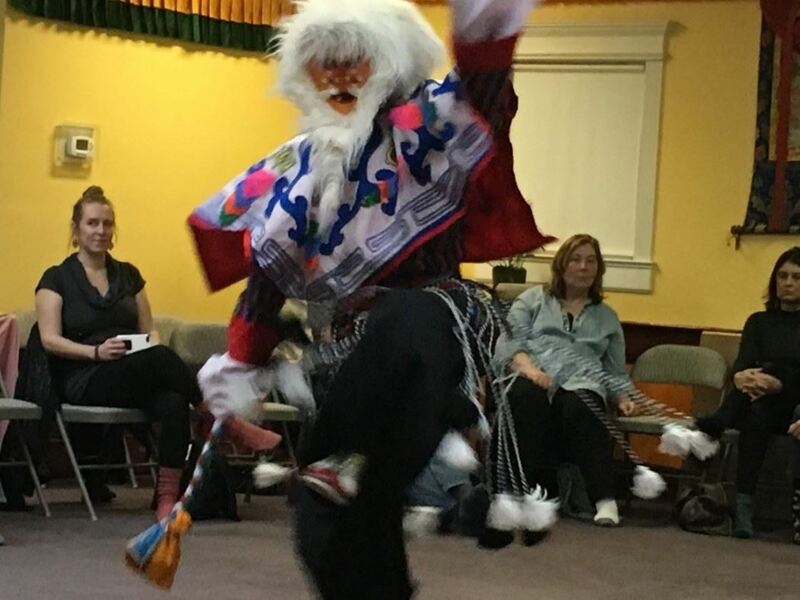 Learn more about the endangered culture of Tibet, see a Tashi Shoelpa dance for luck, a charming Yak Dance, an energetic sample of Monastic Debate, plus chants and traditional musical instruments. Tibetan style merchandise for sale for last minute holiday purchases. Funds raised by the Drepung Gomang Sacred Arts Tour provides food, housing, healthcare and education for over 2000 Tibetan Buddhist monks living and studying in exile at Drepung Gomang Monastery in India.